Months after starting this project, Brian and I finally got this done over the weekend. 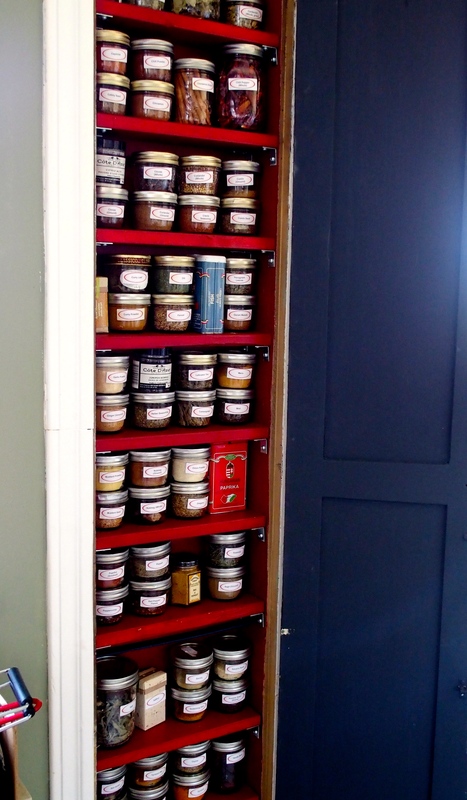 Behold the life-changing spice cupboard! You can’t see the whole thing, but along the bottom are also some vinegar bottles. What started as a poorly placed ironing board in the kitchen (by the back door, it was a cramped place to iron out anything larger than a small shirt) has now become one of the most useful organizing spots I’ve ever had in a living space. Not only are the spices visible and easy to grab, but the use of small canning jars means that I can always stick a tea/tablespoon in rather than trying to pour it out of a bag or small jar. 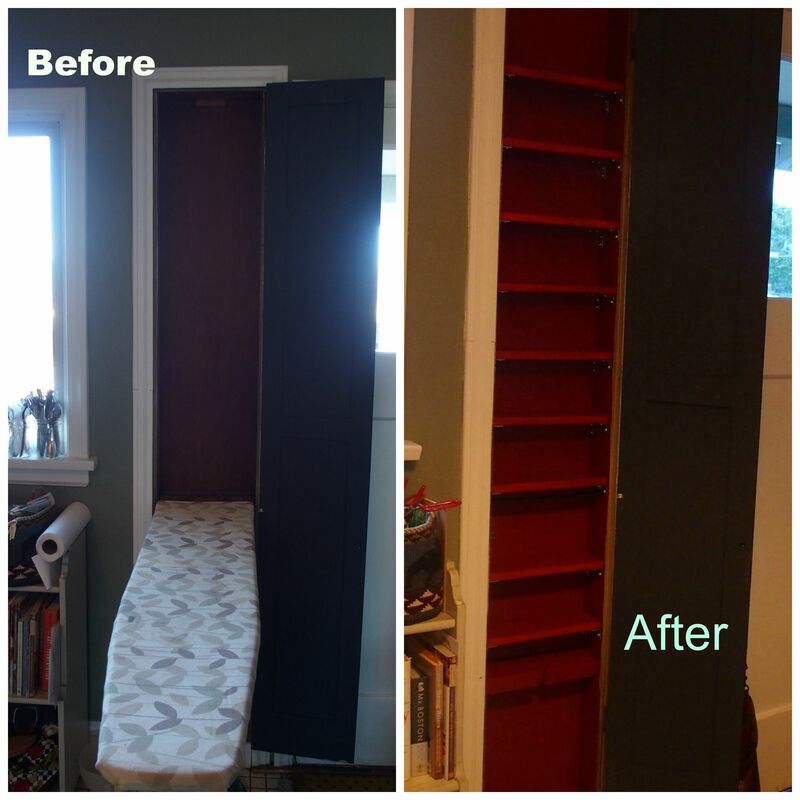 ← Post #2032: Autumn sewing and fabric destashing. I wish I was even a fraction of this organized! Genius! I dread searching through our spice cabinet. What a great use of space.